Real Madrid striker Alvaro Morata has reportedly turned down a move to the Chinese Super League his summer. The star was offered a mega deal worth £147 million to move Far East but he turned it down without batting any eyelid, preferring the competitive European football. Marca reports that the player would have earned almost £30 million in annual wages for five years had he agreed to the deal. The player is an interest of Premier League giants Chelsea. 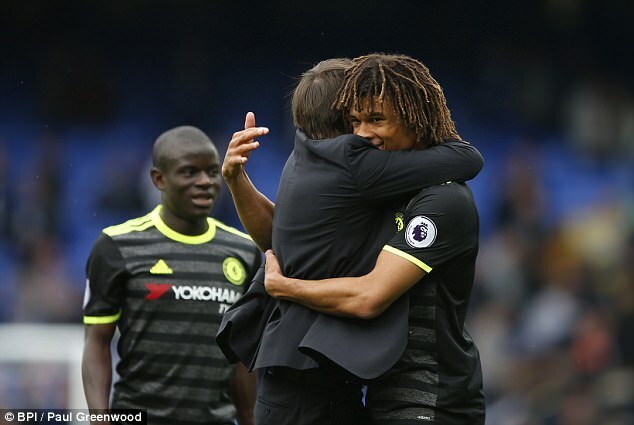 Coach Antonio Conte managed him while he was on loan at Juventus and they could reunite at Stamford Bridge after this season. Morata has netted 20 times in all competitions this term, despite Coach Zinedine Zidane favouring Karim Benzema in the pecking order. If the Spaniard stays at Madrid, he could get to take over from Benzema but he would get fewer chances before then. At the Bernabeu, he is assured titles too while leaving Spain might be a gamble. 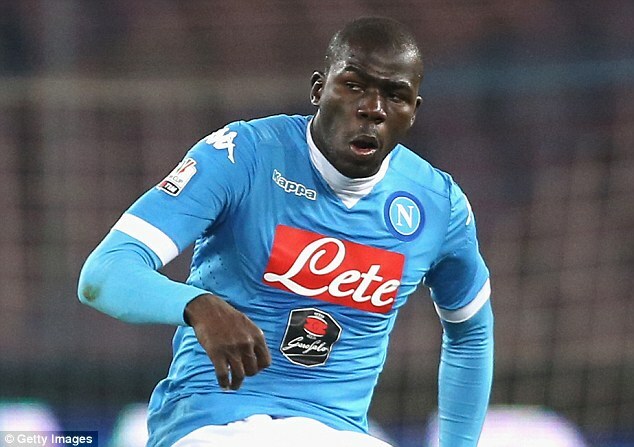 Recent revelations have showed that Chelsea really wanted to get Napoli defender Kalidou Koulibaly during the summer. Sky Sports reported that Chelsea’s bid of £38 million was rejected in July, but the club’s chairman has said that the Blues actually re-submitted a bid of £58 million in a bid to get the defender this summer. Aurelio De Laurentiis said Chelsea came to them more than once as they really wanted the defender before they turned their attention to their former player David Luiz last minute. Paris St Germain released the Brazilian to join them in defense, else the Blues would have had to wait till January for an addition. “They offered to me £30, 35, 40, 45, 50 [million]. Mr Conte I said ‘Marina [Granovskaia, Chelsea Director] is behind me, follow me,’ I offered him that. Last moment, two days before the closing of the market, I hear £58 [million] – something like that,” De Laurentiis said. The deal couldn’t be completed, and Koulibaly eventually renewed his contract with Napoli that would ensure he remains with the Serie A side till 2021. However, De Laurentiis hinted that the deal doesn’t mean he still couldn’t be sold. “Koulibaly I need here to make the match. I need to play, so I need the players. Koulibaly, this year, will remain here. Next year, we will speak about,” he said. Liverpool legend Didi Hamann claims that Chelsea should stop their pursuit of a new manager and instead look at the possibility of appointing Guus Hiddink on a permanent basis. The Dutchman has come back to Chelsea for a second spell as the interim manager. It looks almost certain that he will not stay at the club beyond the season. Chelsea have been linked with a number of managers like Pep Guardiola and Massimiliano Allegri. However,Hamann says that Chelsea are failing to recognise that they have a wonderful manager on their hands already. Hiddink suffered only one defeat in his previous spell as the interim manager. In June of 2014, Thibaut Courtois made his return to Chelsea as the Belgian goal-keeper ended his loan deal with Athletic Madrid and sparked a shockwave in Stamford Bridge and the Premier League as the 22 year old player is arguably one of the best players of the top tier league with sublime performances in every match he plays in. The remarkable season that Courtois is going through is great news for Chelsea as the club has only conceded 26 goals in 30 matches but at the same time this also brings negative consequences for other players who have had to be sidelined for the majority of the season and Petr Cech is the player who has had his spot snatched away from him. Rumors are now claiming that Chelsea are prepared to sell Petr Cech and have placed a price tag of €10 million for the experienced shot-stopper who is being linked with a move away from Stamford Bridge. Chelsea will be hoping to regain their four point lead at the top of the Premier League when they travel to Crystal Palace on Saturday afternoon. Liverpool’s victory over Sunderland on Wednesday moved them to with a point of first place, but with Brendan Rodgers’ side not playing until Sunday afternoon, and Arsenal hosting Manchester City later on Saturday, the Blues can once again create distance between themselves and the chasing back. Ramires remains suspended, while Samuel Eto’o is doubtful after limping out of last weekend’s 6-0 win over Arsenal, and Ashely Cole is doubtful with the knee injury that kept him out of that game. The Blues have won their past five games against the Eagles, the last of which saw goals from Fernando Torres and Ramires secure all three points for Jose Mourinho’s men at Selhurst Park back in December. Palace themselves are desperate for the points as they look to end a run of five games without a win. Last weekend’s last minute loss to Newcastle United – their eighteenth of the season, left them just three points of the bottom three of the top flight, having played a game more than eighteenth place Sunderland. Chelsea are ready to make a £40m bid for Atletico Madrid striker Diego Costa, according to the Mail Online. The Blues have been regularly linked with a move for the Spain international, who has scored twenty-four goals in La Liga so far this season, a record only bettered by Real Madrid’s Cristiano Ronaldo. There has been talk over a potential swap deal involving Thibaut Courtois, though it is unlikely that Mourinho will sanction such a transfer with the young Belgium international, who is in his third season on loan with Atleti, seen as a long term replacement for Petr Cech. Fernando Torres has also been linked with a return to the Spanish capital, though with the La Liga leaders’ preference of buying young players with huge sell-on fees, Chelsea may be better suited to lodge a cash-only offer. Meanwhile, Demba Ba has hinted at a move to Italy as he looks to heading towards the Chelsea exit door, the Mail Online understands. The Senegal forward has managed just eleven goals since moving to Stamford Bridge from Newcastle United last January. Ba has also suggested that there has also been interest from other clubs in England, where he would prefer to remain if given the right oppurtunity. Chelsea can extend their lead at the top of the table by as much as nine points with victory against Aston Villa in Saturday’s late kick off in the Premier League. With Arsenal and Liverpool not playing until Sunday afternoon, Jose Mourinho’s men will be keen to tighten their grip at the summit though they must attempt to do so without the injured Ashley Cole while David Luiz and Fernando Torres are both doubtful having missed last weekend’s 4-0 win over Tottenham Hotspur. Mourinho is likely to select his side with Tuesday evening’s Champions League last sixteen second leg against Galatasaray at Stamford Bridge in mind. Ryan Bertrand, who is on loan at Villa for the rest of the season, will be ineligible to face his parent club. The Blues ran out 2-1 winner when the sides met at Stamford Bridge back in August, while they also recorded the same result in last season’s corresponding fixture in May – the day Frank Lampard broke Bobby Tambling’s goal-scoring record for the club. Elsewhere, Paris Saint Germain striker Edinson Cavani has insisted he is happy in France, despite reported interest from both Chelsea and Manchester United. The Uruguay international has rebuffed claims there isn’t pleased with his role in the team, with Zlatan Ibrahimovic often playing as a sole striker in Laurent Blanc’s side. Chelsea extended their lead at the top of the Premier League to seven points by beating Tottenham Hotspur 4-0 at Stamford Bridge on Saturday afternoon. After a goalless first half Samuel Eto’o, who was only on the field as Fernando Torres withdrew after picking up an injury in the pre-match warm up, put the hosts in front eleven minutes after the break. Eden Hazard fired in his fifteenth goal of the season from the penalty spot shortly after to double the Blues’ advantage before a late brace from substitute Demba Ba put the result beyond doubt. Jose Mourinho’s men are now seven points clear of Liverpool and Arsenal in second and third place respectively, though both have a game in hand, while fourth place Manchester City are nine points off the top with a three game advantage on the leaders. The Blues’ boss has insisted that Manuel Pellegrini’s men are still favourites to reclaim the Premier League from their neighbours, saying that he would ‘prefer to be in City’s position’. The club will now turn their attention to next weekend’s visit of Aston Villa, before facing Galatasaray at Stamford Bridge in the second leg of their Champions League last sixteen tie.